Does anyone remember that song “Lunchlady Land” by Adam Sandler? At one point in the song the chorus goes “Sloppy Joes, Slop, Sloppy Joes,” and I get that stuck in my head whenever I make them now. If you combine that information with the fact that I get Weird Al stuck in my head when I make lasagna, you will begin to realize that I spent my formative years listening to way too much parody music. Nerdy and proud, baby! 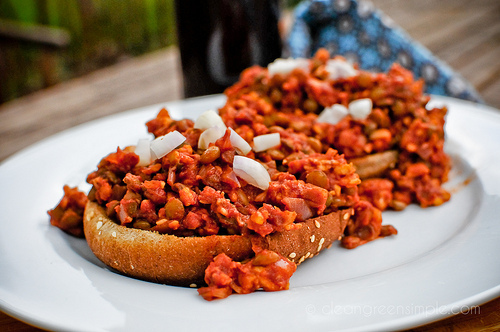 My geekiness aside, these sloppy joes are great! 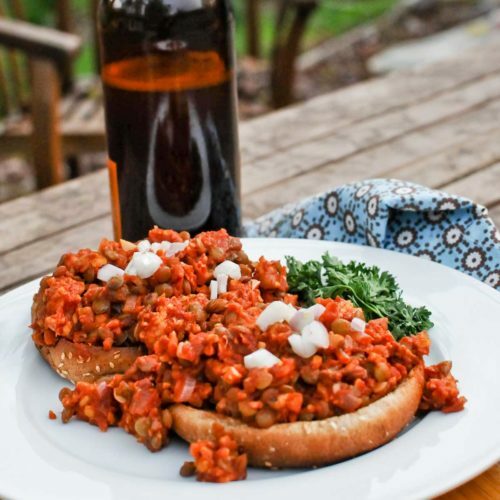 The base is a combination of tempeh and lentils – I’ve seen plenty of recipes for tempeh sloppy joes, and I’ve also seen lentil sloppy joes, but combining the two really improves the texture and taste of the whole thing (in my opinion, of course). 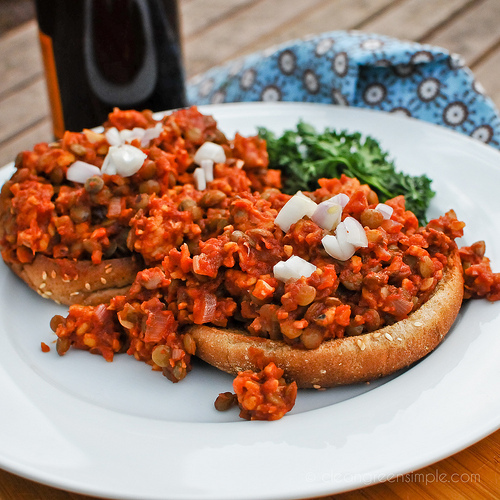 Once your lentils are soft and tempeh marinated, combine everything in a large skillet until it’s nice and warm. I like to serve them open faced on a toasted bun and eat them with a fork, but you could also do it burger style, whatever makes you happy. This was such an easy and tasty weeknight dinner, and my husband was pretty psyched about them so I think they’ll be making it into the rotation. Vegan, Gluten Free if you use GF buns and beer, Low Fat, Refined Sugar Free You could get away with using just lentils or just tempeh, but I felt like the combo was better than either one alone. 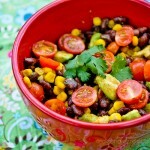 Combine all marinade ingredients except tempeh in a medium bowl. 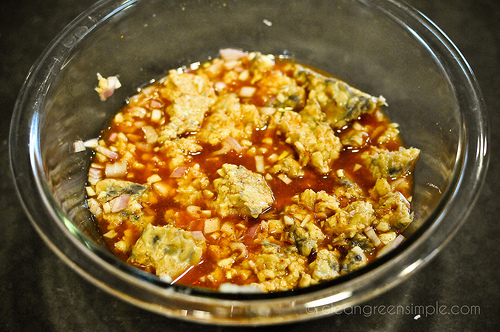 Crumble tempeh into 1/2 inch or so chunks and let sit in marinade for about half an hour or longer and then drain. Add lentils and water to a medium saucepan and bring to a boil, then let simmer for 20 minutes until lentils are soft. Drain. 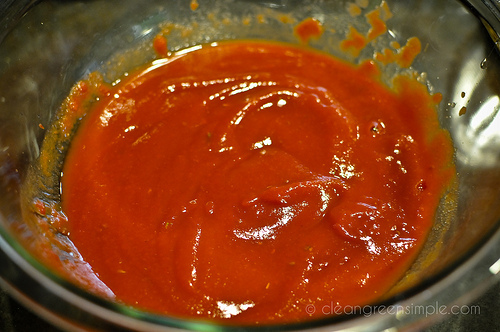 In a medium bowl, combine all sauce ingredients. Add lentils, tempeh, and sauce to a large skillet and heat over medium heat until everything is warm. Serve warm on lightly toasted hamburger buns or bread. The sloppy joes look great, too! I’ve been craving them lately, I need to get on that! 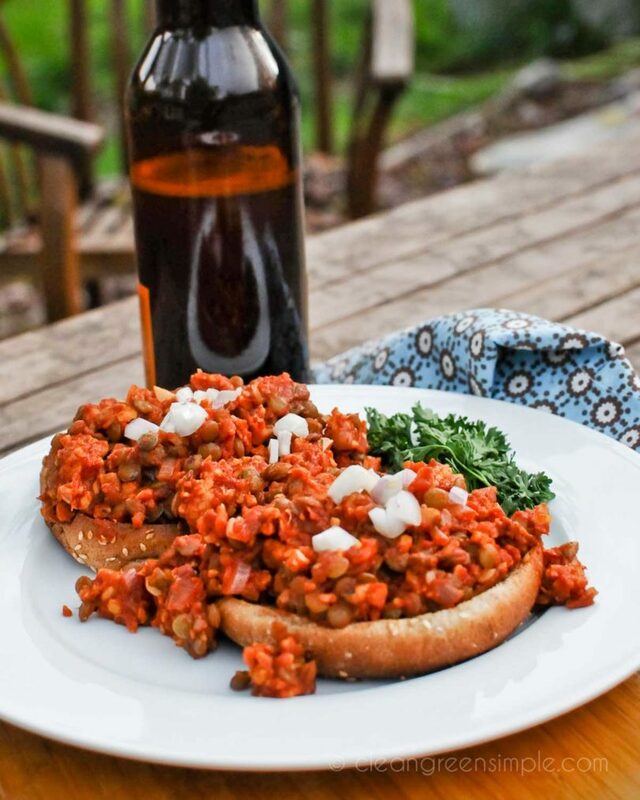 I just made some bulked up lentil sloppy joes a few days ago and they were too die for! 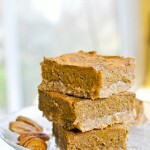 This reminds me I need to make them again and snap a photo!